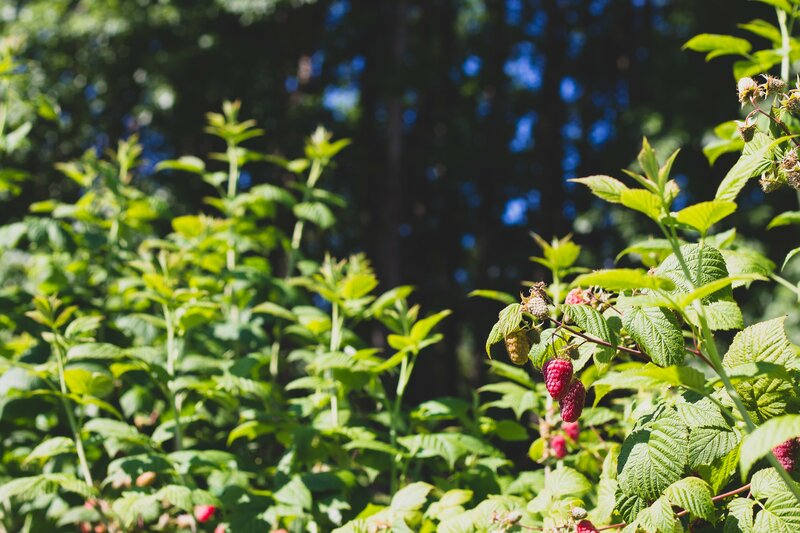 Here at Stahlbush, summer is in full swing, which means our berries are too. As we speak, they’re being harvested, processed, frozen, and taken to your local grocery store for you to enjoy. Sustainability, transparency, and traceability are values that matter to us at Stahlbush Island Farms – and while adhering to these values can be challenging, it makes our job so much more rewarding. Knowing where our food is grown is unfortunately a more difficult task than it has been in the past. Now more than ever, our grocery stores are filled with food from all over the world. While this diversity allows us to explore different flavors and cuisines, it also has some effects on our environment and businesses that can be detrimental. For example, shipping produce across continents takes a lot of energy and produces a lot of waste. Countless cargo ships, planes, trains, and cars are all used in the transport of these food items and contribute significantly to carbon dioxide emissions and greenhouse gasses. In this day and age, some of the produce we see sitting on the shelf at our nearest grocery store was grown 1000 or more miles away. When food is shipped such distances, it means there is a larger gap between harvest, when the crop is ripe, full, and flavorful, and when it hits your grocery store’s shelves. In these circumstances, crops must be harvested before they are ripe and are usually ripened artificially, possibly never even seeing the sun. While artificial ripening isn’t detrimental for our health, it certainly detracts from the natural flavor, texture, color, and quality of a crop ripened and cared for by Mother Nature. Importing foods from across the world has a more underlying effect as well. In developing and underdeveloped nations, labor is cheap and often held to different standards than here in the United States. Workers may be compensated unfairly and many are living in poverty, despite working long and laborious hours. While this effect can’t be seen in the food itself, it does have an impact worldwide and affects the lives of the people growing these foods. While all this information can be daunting, there is one simple change we can make to combat these issues: when available, purchase and enjoy foods grown in the United States (or whichever country you live in). By choosing to buy products from your country, you are inherently reducing the distance it has to travel – therefore contributing less to greenhouse gasses, pollution, and carbon dioxide emissions. When you choose Stahlbush, you are guaranteed a fresh, ripe, bountiful, and beautiful product. We always harvest our crops at the peak of ripeness and freeze them immediately, to preserve the quality we know our consumers care about. All our crops here at Stahlbush are cared for by the best of the best – Mother Nature. They enjoy full sun and ripen at their own pace. By purchasing things made in the United States, we are investing in our workforce and making sure that the food we eat is sourced responsibly. The United States has very stringent labor laws, and ensures that all workers are treated fairly and are paid living wages. Agriculture is a huge industry in America, employing millions and providing families everywhere with many opportunities. When we choose to buy products from other countries, we are inadvertently harming our agriculture economy and threatening the stability of jobs in the United States. So, next time you’re at the store, we invite you to read your food labels more carefully. Be a critical consumer and ask yourself – does this label seem transparent? Or does it use tactics that aim to mislead us at a quick glance? In our world today, sustainability, transparency, and traceability are commodities, but they are also more important than ever before. With simple, small steps, we can all become more informed consumers and make responsible choices that future generations will thank us for. When in doubt, invest in the environment, the people in your community, and the values you believe in. I agree 100% on sustainability practices. I applaud your effort on your position on processing efforts to leave this planet healthy for our children. The carbon footprint is so critical in any industry. More companies should follow your lead on social responsiblity and promote Green initiatives.